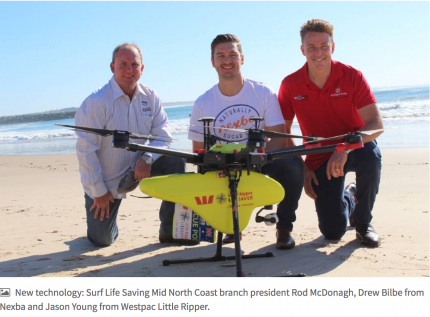 Naturally Sugar Free pioneer Nexba has announced its support of the Port Macquarie region by donating a Westpac Little Ripper Lifesaver drone to the Surf Life Saving New South Wales Mid North Branch. The official handover will take place this Saturday, 19 May 2018 at Port Macquarie Surf Life Saving Club, to the Surf Life Saving New South Wales Mid North Branch President, Mr Rodney McDonagh. With the donation of the Westpac Little Ripper Lifesaver drone to the branch, six volunteer surf life savers from the area will be trained as remote pilots at the Ripper Aviation Academy based in Port Macquarie. The partnership will see Nexba bring its fight to eradicate diabetes and obesity together with Westpac Little Ripper Lifesaver’s mission to save lives. Port Macquarie is to benefit from this initiative in what is set to be the first of many by Nexba in supporting local communities in Australia. Port Macquarie unfortunately saw two young boys’ lives taken during the Christmas period at the hands of the sea, and another life sadly just last month. Port Macquarie now has a Westpac Little Ripper Lifesaver, which will mean the difference between life and death on the area’s beaches. Westpac Little Ripper Lifesaver drones have the ability to rapidly identify and respond to incidents, with specialised abilities tailored for search, rescue and lifesaving pod drops. Nexba has joined hands with the community to fund this Westpac Little Ripper Lifesaver drone in Port Macquarie. For the past eight weeks every single purchase of a Nexba beverage from Port Macquarie stockists has helped towards the funding of the Westpac Little Ripper lifesaver drone by Nexba. The range is currently stocked at Coles, Woolworths and Caltex. “This is just the beginning of saving lives,” said Nexba co-founder Drew Bilbe. “In the same way that having a healthy diet can prevent disease, these high-tech drones can prevent tragic incidents occurring on our beloved beaches, which are traditionally a place for fitness, families and fun, and the core epicentre of the Aussie lifestyle”. Nexba has a history of supporting the community, living out its mantra of being, and supporting, the “naturally brave”. The Port Macquarie launch will be no different and will see the Westpac Little Ripper Lifesaver rescue teams expand their resources, paving the way for more advanced drone life-saving operations in the future. “We founded Nexba in 2011 because we had a long-term vision of changing people’s lives and providing a healthy alternative to harmful, sugary soft drinks and/or those packed with artificial nasties. 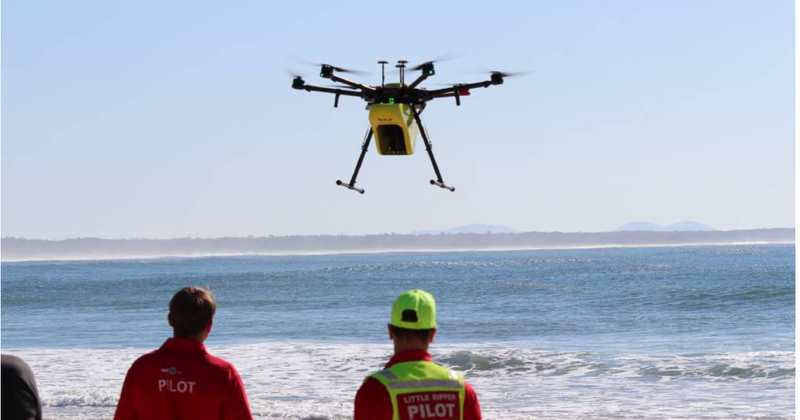 Bringing that ambition to our beaches, our aim is to partner for a Westpac Little Ripper Lifesaver drone on every beach in Australia,” Bilbe said. The launch will take place on Saturday, 19 May 2018 down at Port Macquarie beach where a number of key stakeholders from relevant partners and local businesses will be in attendance, including the Mayor. The Nexba story began one sunny day on a Mexican beach, Rio Nexpa. Enjoying a home-made ice tea, young Australian Drew Bilbe was inspired to create a natural, low-calorie ice tea. Upon returning to Sydney, Drew began working with fellow entrepreneur and ‘bestie’ Troy Douglas, to create their range of healthier ice teas. Known as the Aussie Boys, Drew and Troy founded Nexba in 2010 to offer people healthier alternatives. By 2015 Nexba had won a prestigious Telstra Australian Business Award for innovation and achievement. In July 2016 Nexba partnered with Coles and took a step beyond tea to reinvent soft drinks. In 2017 Nexba’s range of Naturally Sugar Free drinks won Product of the Year, the world’s largest consumer-voted award for product innovation. A major player in the fight against sugar, Nexba’s mission is to be the fastest growing global Naturally Sugar Free brand. The vision is to transform lives by being the naturally brave brand, delivering Naturally Sugar Free product innovation.